Banbury, UK, September 1, 2015 – Westmoreland Mechanical Testing & Research, Ltd. (WMT&R) has received full Nadcap accreditation and GE approval to perform Z1 and Z2 low stress grinding and polishing at its new state-of-the-art materials testing facility in Banbury, Oxfordshire. The approvals follow a major investment in CNC low stress cylindrical grinding equipment at the new UK test laboratory. The equipment enables the facility to produce samples that meet the rigorous Nadcap and GE standards. With these approvals, WMT&R is established as a one stop source for low cycle fatigue (LCF) machining, low stress grinding/polishing, and LCF testing ready to meet customers’ ISO/ASTM testing requirements. In addition to the equipment installation, the WMT&R UK machining team underwent intense Z1 and Z2 training to satisfy the rigorous standards and procedures included in a full-scale Nadcap audit. With the Nadcap and GE approvals, the UK team is positioned to offer a wider scope of LCF and high cycle fatigue (HCF) testing services. The approvals demonstrate a commitment to establishing WMT&R as a trusted materials testing partner in the aerospace and other technologically-advanced industries. 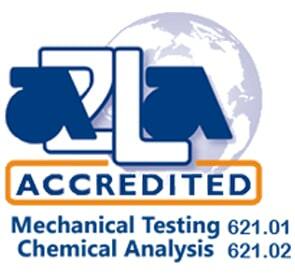 WMT&R is a full-service lab with a wide range of accreditations and testing capabilities. 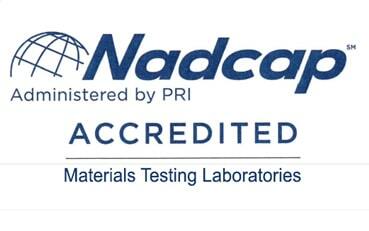 Click HERE for Westmoreland Mechanical Testing & Research, Ltd.’s Nadcap certificate and scope of accreditation. Westmoreland Mechanical Testing & Research, Inc. (WMT&R) is a world leader in materials testing. Founded in 1967, WMT&R serves a broad range of industries including aerospace, automotive, medical, and power generation. WMT&R’s testing expertise includes: Mechanical Testing, Composites, Fatigue, Stress/Creep Rupture, Fracture Mechanics, Metallography, Chemical, Heat Treat, Thermal Analysis, and Physical Properties Testing.